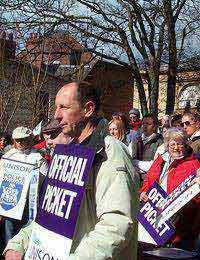 Home > Coping with Redundancy > Questionnaire: Do I Need to Join a Trade Union? The importance of trade unions is often forgotten in modern society. Trade unions are still very popular among certain sectors of employment, such as larger organisations and skilled labourers. Unions are less dominant in other sectors where there are a smaller number of employees. Trade unions often make the press when employees go on strike, or when they are fighting for better pay and working conditions. If you are facing redundancy though, you may want to think about joining a trade union. These few questions should help assess whether union membership is right for you. 1, Are Your Co-Workers Members of a Union? 2, Are You Happy About Your Redundancy Conditions? 3, Do You Feel You Have Been Unfairly Dismissed? 4, Do You Feel Under Pressure to Join a Trade Union? 5, Have You Been Offered Any Legal Assistance During Your Redundancy? In a lot of circumstances joining a trade union is not necessary in redundancy. If you are content with what your employer is offering you and do not suspect foul play, then a trade union should not be necessary. If you answered mostly A it seems that you have no need to join a trade union. It would not benefit you if you have been offered a fair deal and you might struggle to find a representative in your chosen trade. Not all workplaces will have trade union representatives and in some sectors it might not be possible to join one. It sounds like you should try and find out a bit more about what representatives there are in your area. Some employers will not deal with a trade union representative through redundancy and will prefer to deal with you individually, so you will need to check this before signing up. However in other circumstances an employer will prefer to have one representative that will speak for all employers if there have been mass redundancies. Often the cost of joining a union will be relatively small compared to the support they provide you. If your co-workers are members of a union you might feel under pressure to unite with them and help them with their cause. From your answers it sounds like you are not entirely happy with the terms of your redundancy so it might be a good idea to join a union, especially if some of your work colleagues have. If you are already facing redundancy you have nothing to lose. One large voice if often better than one small one when it comes to renegotiating the terms of your redundancy. Although the popularity of trade unions has dwindled over the years they can still provide a valuable source of help when faced with redundancy. There are other places you can seek help such as the Citizens Advice Bureau, but if you do have a trade union available to you it is probably a good idea to take advantage of this.